Background: ABO blood group iso-antibodies are naturally occurring antibodies found in serum and other body fluids. 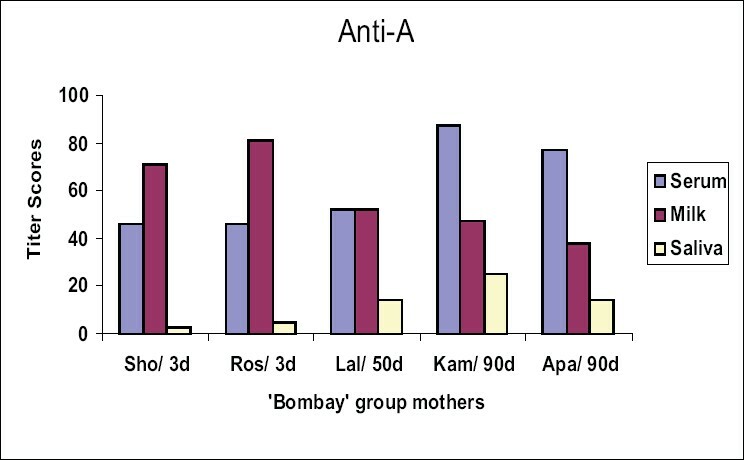 Methods: Serum, saliva and milk samples from 5 mothers identified as "Bombay" phenotype were tested for ABH-iso-antibodies by routine serological techniques. Results: All the five mothers showed presence of iso-antibodies in the samples tested. Higher titer values in milk than their serum were observed on subjects whose samples were collected in immediate post-partum phase as compared to those whose samples were collected after a lapse of a few months. Conclusion: High titer iso-agglutinins against ABH antigens were detected in milk samples besides their presence in saliva as well as serum. Splenectomy has been the conventional surgical treatment for patients with Immune Thrombocytopenic Purpura (ITP). Aim: To define response to surgical therapy, pre operative factors influencing outcome and tolerability of surgery in adult patients undergoing splenectomy for ITP. Method: We analyzed prospectively maintained data of 33 patients who were diagnosed as ITP and underwent splenectomy over the last 10 years. The age, presenting complaints, bleeding manifestations, clinical details and other investigations were noted. Details of immediate pre-operative administration of blood transfusions, platelet transfusions and other forms of therapy were also recorded. Operative details with regards to blood loss and the presence of accessory spleens were obtained. Postoperative course in terms of clinical improvement, rates of complications and platelet counts was also noted. Results: Skin petechiae and menorhhagia were common presenting symptoms in patients (mean age 26.5±10.5 yrs) with ITP. Eighteen patients underwent splenectomy for failure of therapy and fifteen for relapse on medical treatment. 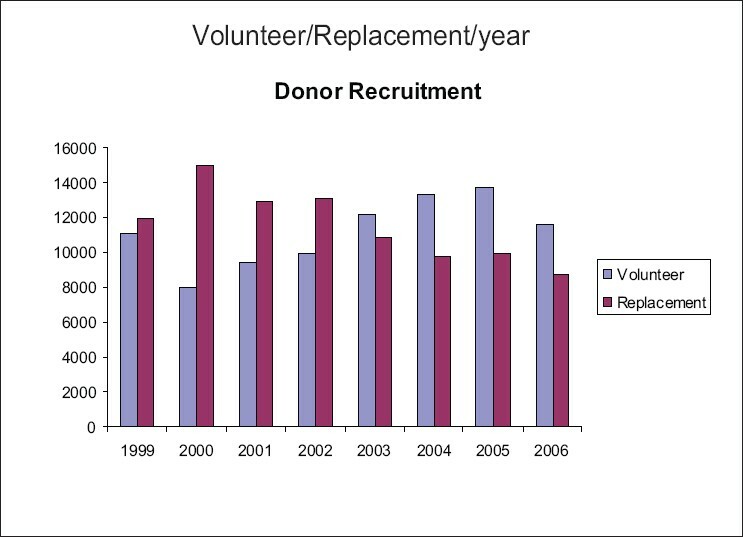 Mean platelet bags transfused in immediate pre-operative period were 2.8±0.8. Mean intra-operative blood loss was 205±70.5 ml. Accessory spleens were removed in 1 case (3.03%). The immediate postoperative response was complete in 19 cases (57.58%) and partial in 13 cases (39.39%). The platelet counts increased significantly from 23142±12680/ µL (Microliter) (mean ± SD) preoperatively to 170000±66000/µL (Microliter) within 24-48 hours after splenectomy ( P < 0.05). The mean platelet count was 165000+66000/µL (Microliter) at the end of one month when steroids were tapered off gradually. Four patients (12.12%) had complications (one each of wound hematoma, wound infection, splenic fossa collection and upper GI hemorrhage) in postoperative period but all responded to therapy. One relapsed patient was detected with accessory spleen and responded after re-surgery. Response to splenectomy was better in young patients and in those patients who had higher immediate post-splenectomy thrombocytosis. Conclusions: Splenectomy is safe and effective therapy in ITP patients with no response to steroids and relapse after medical therapy. Response to splenectomy was more in young patients and in those patients who had higher immediate post-splenectomy thrombocytosis. Background: Previous studies indicated that acute normovolemic hemodilution (ANH) was associated with a depression of myocardial function in coronary surgery patients with baseline heart rate faster than 90 bpm. It was suggested that this phenomenon could be explained by the occurrence of myocardial ischemia. In the present study, we hypothesized that the cardioprotective properties of a volatile anesthetic regimen might protect against the ANH related myocardial functional impairment. Materials and Methods: Forty elective coronary surgery patients with baseline heart rate faster than 90 bpm were randomly allocated to receive different anesthetic regimens. Group A (n = 20) received midazolam-based anesthesia. Group B (n = 20) received a sevoflurane-based anesthesia. Five-lead electrocardiogram, pulse oximetry, capnography, radial arterial pressure, and Swan Ganz continuous thermodilution cardiac output via right internal jugular vein were monitored. Measurements were obtained before and after ANH. Data were compared using paired t test. All data were expressed as mean ± SD. Data were considered significant if P < 0.05. Results: After ANH, systemic vascular resistance was slightly decreased in group A while there was a significant decrease in group B. In group A, cardiac output was slightly decreased from 5.07±1.17 l/min to 5.02±1.28 l/min after ANH, whereas in group B, cardiac output was significantly increased from 4.84±1.21 l/min to 6.02±1.28 l/min after ANH. Conclusion: In coronary surgery patients, with baseline heart rate faster than 90 bpm, anesthesia with sevoflurane during ANH was associated with an improvement in myocardial function after ANH, which was not present in patients anesthetized with midazolam. Background: In spite of the progress made in the prevention of transfusion transmitted infections over the last few years, transmission of HBV infection through transfusion of HBsAg negative blood has been documented. Objectives: To assess the frequency and clinical significance of anti-HBc in multitransfused hemodialysis patients. Materials and Methods: One hundred and forty-three hemodialysis patients who had been receiving blood regularly with an average of 39.4±7.579 months on hemodialysis were enrolled in this study. HBV markers (HBsAg, anti-HBc, anti-HBs) were measured in these patients and in 100 healthy controls by the ELISA technique. The following data were obtained for all patients: socio demographic data, number of blood transfusions and some laboratory investigations. Results: In our patients, anti-HBc was positive in 9%, anti HBs in 7%, coexistant HbsAg/anti-HBc in 2.8% and anti HBc /anti HBs in 18.9%, meanwhile no patients were positive for HBsAg alone. In patients with only positive anti-HBc, the levels of anti-HBc were significantly related to abnormal results of liver function. In patients with positive anti-HBs/anti-HBc (n = 27), 18 patients had abnormal liver function, and 9 patients had normal liver function with no significant difference between them. Conclusions: This study suggests that hepatitis B prevalence in our multitransfused hemodialysis patients is far in excess of that anticipated on the basis of HBsAg prevalence. Absence of HBsAg in the blood of hemodialyzed patients may not be sufficient to ensure lack of circulating HBV, and isolated positivity of anti-HBc may be a possible indicator of active hepatitis B infection. This is the era of component therapy. Therefore there is a need for rational use of platelet concentrate. Lot of knowledge has been added recently in the field of platelet specially about the platelet rich plasma and its application in clinical practice. The current review focuses on improvement in preparation of platelet rich plasma, the procedure to make the same more safe and its rational use. Furthermore newer aspects of platelet concentrate use in surgical practice and for regenerative medicine has also been discussed. It also covers some progress and hurdles in preparation of platelet substitutes. A case of hyperhemolysis in a 2-year-old boy with β thalassemia major was noted. After several transfusions, he developed hyperhemolysis with a positive (C3d only) direct antiglobulin test (DAT) and no clinically significant RBC allo- or auto-antibodies. (There was a weak cold antibody, showing a narrow thermal range). Because there was no significant improvement with steroid and immunoglobulin infusions, cyclophosphamide therapy was tried with notable success.